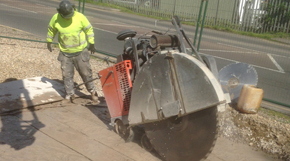 Deep sawing is a method of using special diamond blades and saws and is needed for provision of expansion joints, removing damaged sections of pavements, preparing or cleaning random cracks and removal or repair of concrete sections with regards to demolition purposes. 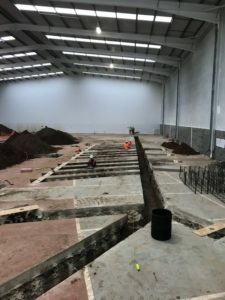 Since 1981, CA Drillers have been into road deep sawing work and other construction activities such as motorway deep sawing and bridge deep sawing. The experienced team at CA Drillers is capable of delivering reliable services with regards to deep sawing London & Kent regions. Further, we engage only the finest equipment for sawing. Our commitment to efficiency is what aids us in sharply focusing on sufficing all kind of diverse requirements. Moreover, we ensure that this is done at the lowest cost possible. Whenever CA Drillers roll out to perform jobs, the clients can be assured of skilled technicians who use only quality equipment needed for successful completion of the job. Our technicians are efficient and trustworthy along with the equipment being safe. This combination of skill and quality helps us to get the jobs performed perfectly; all the time. This is what makes us proud. CA Drillers have worked over the years with the intention of becoming the benchmark for quality, value addition and exceptional integrity for all the services we provide. This endeavor and a strong belief in our abilities in terms of road deep sawing and other activities has buoyed us to a respectful position in the industry. The dedicated and experienced team at CA Drillers carefully schedules tasks and professionally executes them to satisfy clients. Strict adherence to quality parameters and industry standards along with careful attention to minutest details is the base of our work. This has made us a preferred choice for deep sawing London & Kent needs. The core strength of CA Drillers is the ability of employing staff that is expert in the trade. With the possession of latest equipment and the best employees, we are capable of performing all tasks using our in house team. Our approach towards work ensures that all the contracts we undertake display workmanship in true sense. You can get in touch with us at info@cadrillers.com for any queries or work related to road/bridge/motorway deep sawing.